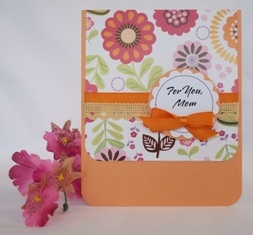 Find colorful Mothers day cards to make. 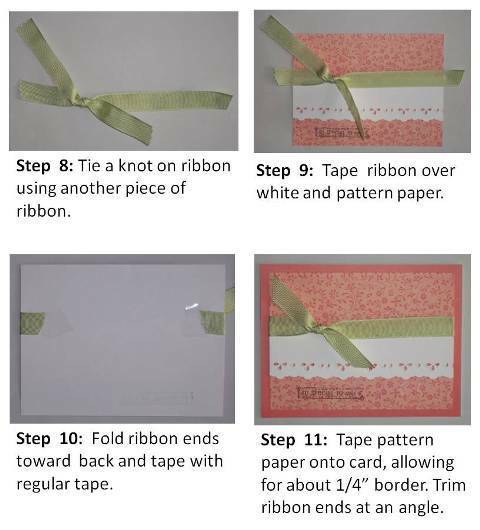 Use floral prints and ribbon for . 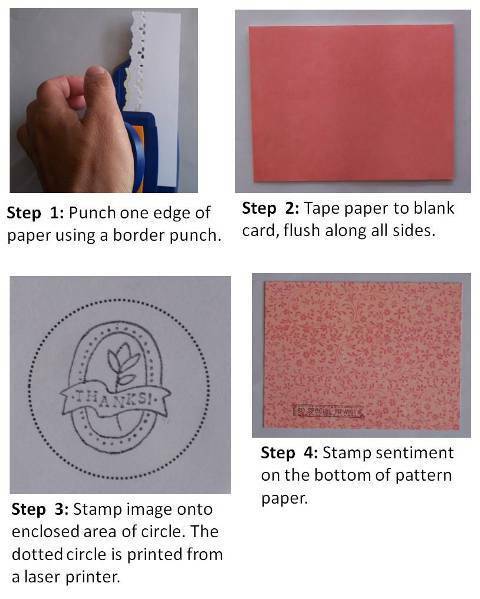 Make a pretty Mothers day card using punches. 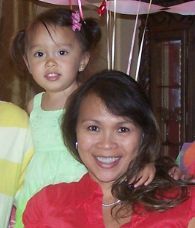 I often use pretty floral prints for my Mothers day card ideas. 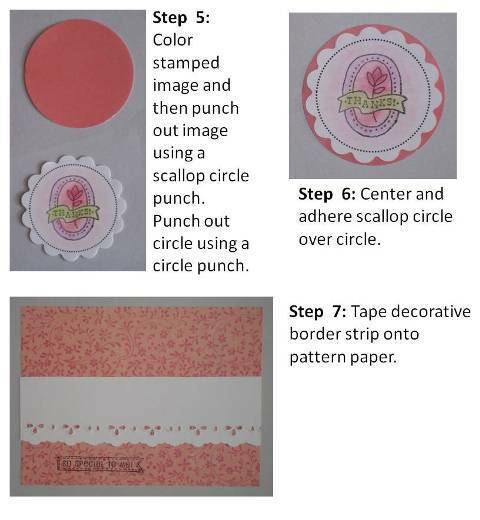 For this handmade card making project, I found a print and used the pink color to make an eyelet-like border. 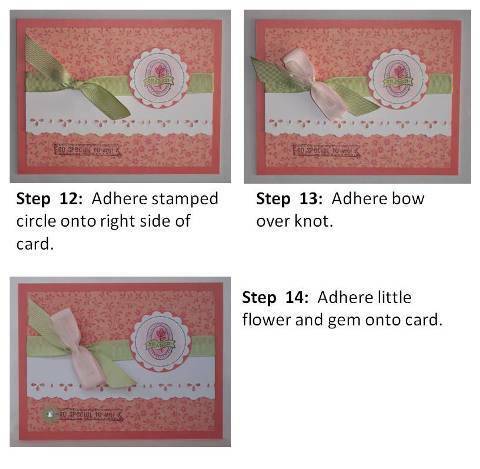 Pick the darker color, green, to create a border around the card. 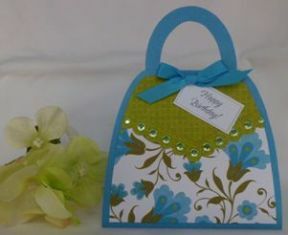 You can incorporate craft punches for your homemade card ideas to make them look more professional. I used a decorative border punch, a scallop circle punch and a circle punch on this card. 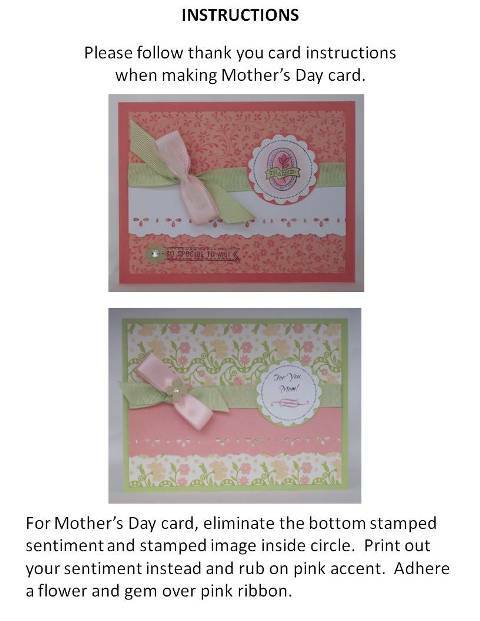 You can type, stamp, or rub on your own sentiment for your handmade Mothers day cards. 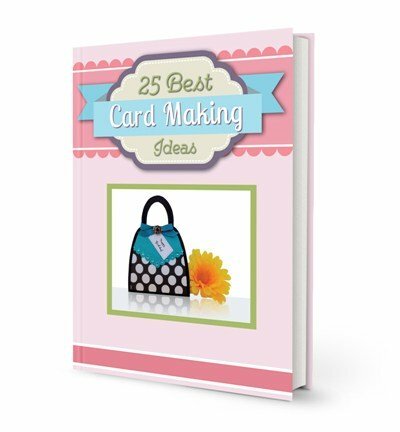 For my homemade greeting card ideas, I often use my computer where I've saved several templates and when I'm ready to make a handmade card, I revise the sentiment for the appropriate occasion. 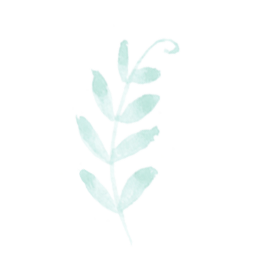 I often incorporate ribbon for many of my homemade greeting card ideas and I layered green and pink on this card since they matched the colors on the print. 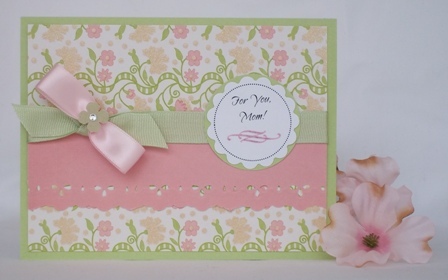 Here's another Mothers Day card using the same circle punch as the card above. I used both the scallop circle and a larger circle punch to use as the feature for the sentiment. I also took advantage of the busy and bright print. This card is a relatively small card using a half inch corner punch along the bottom of the card.